The environmental effects of the use of microbeads in cosmetics is an issue that has started to be widely addressed in the media, but why have have our favourite polishing pearls started to be hounded by scientists, regulated and even banned from being manufactured in many countries? Well first of all, what is a microbead? 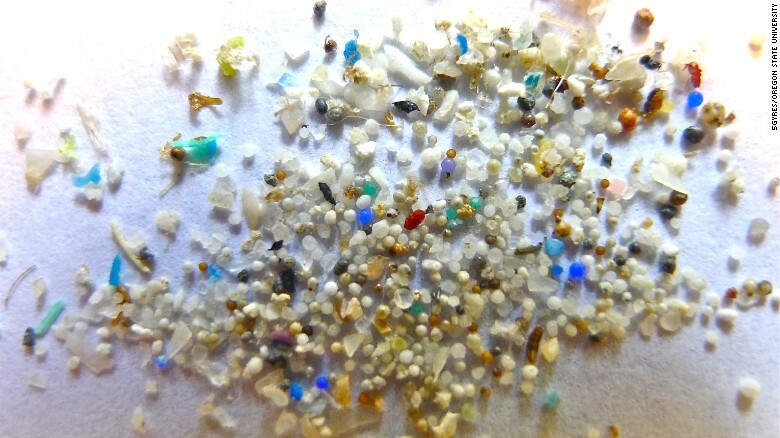 Microbeads are tiny, manufactured, plastic spheres no bigger than a millimeter, and they are not biodegradable! The minute beads are often the very fine “scrub” that we find in many exfoliants, face washes and even toothpastes. Many companies boast that the man made spheres are great for your skin and the perfect balls aren’t too harsh on our faces, like their natural crushed seed, or walnut shell counterparts. They are also put in makeup to reduce lines and reflect light, doesn’t sound too bad right? But what about the impacts they have once we’ve washed them down the drain? Out of sight, out of mind? It may not be that simple anymore. Governments have stepped in around the world to ban the production of cosmetics containing microbeads, New Zealand has issued a ban effective of May 30 2018, due to the fact the problem has become bigger than you or I making good choices and choosing alternative products, the dispersal of microbeads needs to be faulted from the top down. Billions of microbeads go down the drain every day and many water treatment plants can’t filter them out so they end up in our waterways. You may be thinking “so? Any kind of scrub I use could end up in the waterway” well that’s not necessarily true, natural exfoliants in personal care product are usually large enough to be filtered and even if they do get through they act as normal sediment, like sand or dust, and don’t absorb impurities like microbeads. Once microplastics enter the waterway, they act as sponges to the surrounding water, soaking up toxins, they can end up being over 100 times more toxic than the water around them, so our polishing pearls have now become poisonous pearls, and then, you guessed it…they get ingested! Fish and other marine animals knock back these particles simply because they too have no way of filtering them out, even fish in Antarctica have been found with microbeads in their stomachs. Microbeads clog digestive and respiratory tracts and leach out all the toxins they’ve collecting into the organisms, causing organ damage and growth problems, it’s effectively like a person eating a sponge soaked in filth. But then again, you have may have subsequently guessed it… we eat fish and drink water that’s essentially been poisoned by things we use directly in our personal care! So thank goodness something’s being done about this particular issue. Microbeads are a perfect example of why we need to care for our environment, aside from the fact the environment is a beautiful web of living and non living systems, we are entwined in it’s cycle and we are not exempt from the negative impacts we have on it.